Senior Meg Flemming and junior Kayleigh Leahy spend a lot of time together in practice. 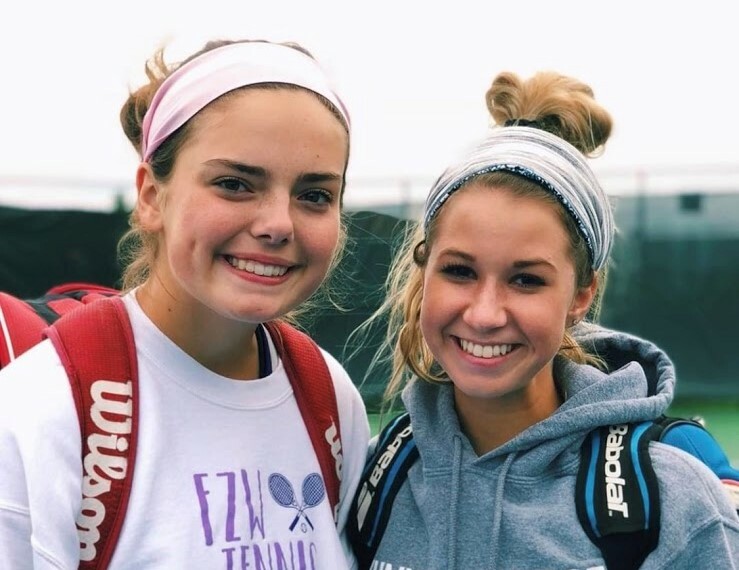 As the varsity tennis season comes to close, senior Meg Flemming and her doubles partner, junior Kayleigh Leahy, celebrate their accomplishment of making it to sectionals. The two have been playing together this season and are friends on and off the court. They worked well together in preparation for their sectionals match. Even though the pair did not win at sectionals, it does not mean that their spirits are shattered.